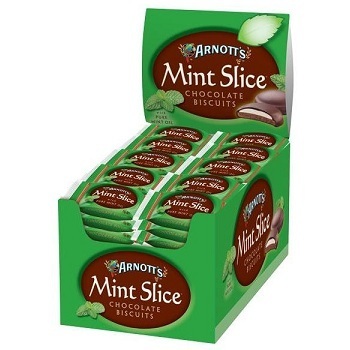 Mint Slice features a light, crisp chocolate biscuit base, a thick layer of delicious mint cream and a beautiful smooth coating of dark chocolate. 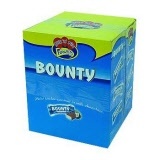 Bulk box of 60 x 15g individually wrapped biscuits. Chocolate-malt nougat, topped with a layer of caramel and covered in Milk Chocolate. 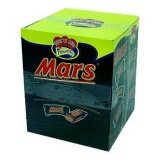 Each 18g Mars bar is individually wrapped. Bulk Pick 'n' Mix box of 50 Mars bars. The lighter way to enjoy chocolate...Nothing pleases like a Malteser! Maltesers are honeycombed malt biscuit balls coated in milk chocolate. Each individually wrapped 12g packet contains snack size serving of maltesers. Bulk Pick 'n' Mix box of 40 Malteser packets. SNICKERS bars are crammed with peanuts, caramel and nougat then coated with milk chocolate. Each 18g Snickers bar is individually wrapped. Bulk Pick 'n' Mix box of 50 Snickers bars. 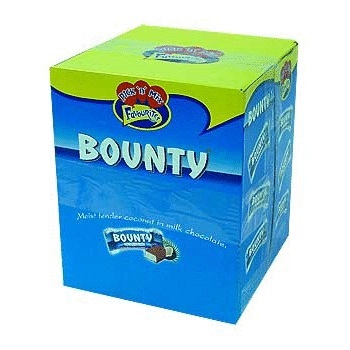 Milk Chocolate (Blue wrapper) BOUNTY Bar from Mars. Moist tender coconut in Milk Chocolate. Each 14g chocolate bar is individually wrapped. Bulk Pick 'n' Mix box of 50 chocolate bars. 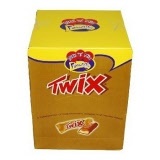 TWIX is a chocolate bar, consisting of a biscuit finger, topped with caramel and then coated with milk chocolate. Each 14.5g Twix bar is individually wrapped. 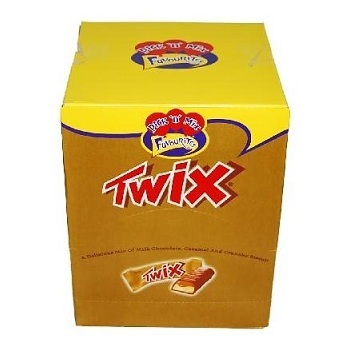 Bulk Pick 'n' Mix box of 50 Twix bars. Australia's second most popular children's confectionery bar! Chocolate cartoon-shaped koala (named George) with a caramel centre. Each individually wrapped 15g packet contains a snack size serving. 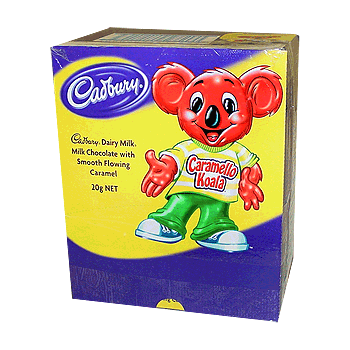 Bulk Pack of 72 Caramello Koalas. Australia's most popular children's confectionery bar! Cadbury Dairy Milk Chocolate cartoon-shaped frog. Each individually wrapped 12g packet contains a snack size serving. 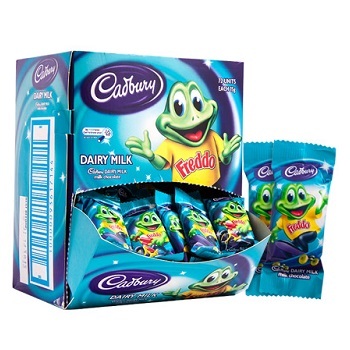 Bulk Pack of 72 Dairy Milk Freddos. 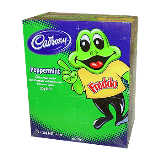 Cadbury Dairy Milk Chocolate cartoon-shaped frog filled with a peppermint centre. Bulk Pack of 72 Peppermint Freddos.